Silica, Citric acid, Malic Acid, Natural and artificial flavoring, Calcium Silicate, Sucralose. TAKE (1) SCOOP IMMEDIATELY AFTER TRAINING MIXED WITH 10-12 OUNCES OF WATER OR YOUR FAVORITE BEVERAGE; MIX WITH POST WORKOUT SHAKE IF DESIRED. 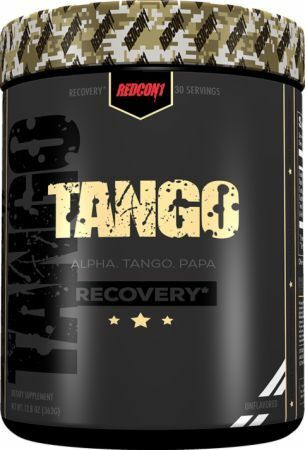 FOR MAXIMUM RESULTS, TAKE UP TO (2) SCOOPS OF TANGO PER DAY. MAKE SURE TO CONSUME AT LEAST 120 OUNCES OF WATER PER DAY WHILE USING TANGO. Maltodextrin, Calcium silicate, Silicon dioxide. Grape This is a Buy 1 Get 1 FREE offer!